There was surprise at the Town Hall at the strength of feeling and action generated by ‘the community’ since hearing about the plan to bring two huge festivals to Brockwell Park. Lambeth’s Cabinet, having agreed the Events policy, was taken aback by the response. 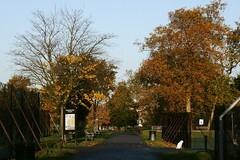 Brockwell Park is a Grade II listed heritage landscape; the Hall is a Grade 11* listed building; both are important heritage sites. The park landscape has undergone a huge renovation with money from the Heritage Lottery Fund and match funding from Lambeth to a total of £6m; this process took several years and the park “opened” officially with a VIP DAY (volunteers in parks) in 2011. Throughout the community was part of the bid process, part of the steering group and part of the body that helped make the decisions about what could be done with the money they received. 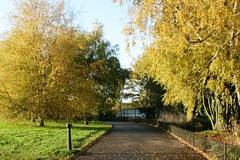 Massive investment in infrastructure, paths, buildings, drains, ponds has hugely improved the park and its amenity. 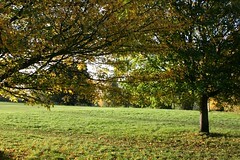 Once the landscape was completed there was a need to consider the future of Brockwell Hall . 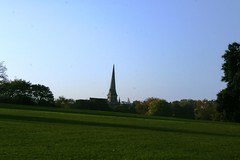 This same community was invited by Lambeth to become ‘the client’ and put together a plan for Brockwell Hall that would generate revenue to sustain both park and Hall. The park community, through the BPCP has done just that and developed a vision and a plan for Lambeth to submit to the HLF. Now, Lambeth officers are taking forward a bid for £3m from the lottery and £1.5 million from Lambeth capital funds, a total of £4.5m is on the horizon. So this community has been involved in generating potentially £7.5m of new lottery money in the last 10 years. So that will be the same community who protest at the lorries and equipment that will destroy the new drains, paths, fences etc because the restoration was of a park not a motorway or a supermarket. There are no paths engineered for heavy vehicles, so far as we know. 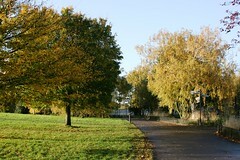 Paths are for light park vehicles and the thousands of walkers who are attracted to Brockwell Park for those restored features – the new, award-winning children’s playground, the water play area, the renovated ponds, the restored Victorian Walled Garden. As well as paths, the new flood works are also vulnerable as they are under some of the fields along with the restored Victorian drains. 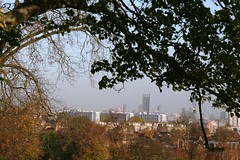 Lambeth recognises Brockwell Park as a borough site of interest for nature conservation, SINC, Grade 1. Biodiversity in the park has improved so much that the Borough is considering putting Brockwell forward as a London SINC. Much of this is a result of work done by the community and funds raised by them: £25k for a perimeter hedge, £5k for hedge laying, and £10k for a wildflower slope by the lido, £3k for the pollinator garden at Norwood Lodge and so on. All funds were raised and used by the community groups together with endless free hours given by volunteers to dig, sow, plant, clear and prune the projects. Not just putting the projects in but looking after them year on year until with very little support from Lambeth Council until recently. 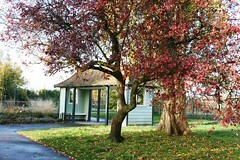 Things have changed for the better now that the Lambeth parks service is back in-house. 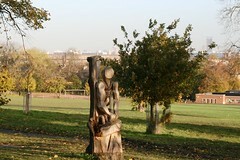 The large number of schools surrounding Brockwell Park means that a lot of children use the park as a route to and from school. As we have improved the water quality and flow of the ponds (courtesy the HLF) and looked after the planting and kept the streams flowing – we have been rewarded with new bird visitors. Recently the arrival of a pair of swans who stayed – for the first time in living memory – and brought up their cygnets has been a huge pleasure for literally hundreds of excited children who visited the ponds and have learned more about the ducks, swans and other birds as a result. A kingfisher has been recorded recently and the little video got 25k views. There are a pair of little grebes for the first time. The community is at present working on a new bid to re-wild the lake and to bring a mini wetland to the back area so we can offer children more contact with their park wildlife. This is in partnership with Lambeth, but was initiated by the community. So who are the community? 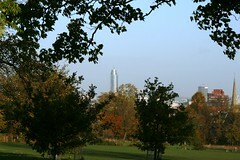 Brockwell Park has 35+ stakeholder groups who have co-operated together over the years on their own particular projects so that the park operates in harmony. 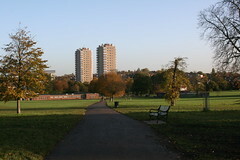 The stakeholder constituency is drawn from the Lido complex, the Friends of Brockwell Park, the BMXers, the St Matthews footballers, the miniature railway, the Community Greenhouses, the Herne Hill Society, the Herne Hill Forum, the South London Botanical Institute, local residents’ associations for people who live in the districts around the park and the many other sports groups small and large. All of these groups have a representative who comes to the Brockwell Park MAC meetings. Together with directly elected members of the general public they bring difficulties and propose decisions so that everyone has the opportunity to discuss issues and to vote. It doesn’t always work but mostly it does. All these groups make a big contribution in their own ways; the Friends for instance were involved in like the restoration of the Clocktower, and the yearly planting of trees – paid for by volunteer donors (since the great storm in 1987). It is safe to say that the contribution of the local community, in many ways has been a major support of Brockwell Park, as it is in many other parks in the borough, and that this contribution is significant, even in comparison with the work done by Lambeth officers and the Council. We have the right to defend our park. Well done for this, BPCP. The best and clearest piece that I have read about the organisation, and coming at exactly the right time. Kudos to the author. I shall circulate it as much as I can, and i think that you should do so as well, on as many local sites as possible. Don’t be shy. Thank you Charlie Rose! A collective authorship, btw.